One third of the Japanese female workforce are 'office ladies' and their training takes place in the many women's junior colleges. Office ladies are low-wage, low-status secretaries who have little or no job security. 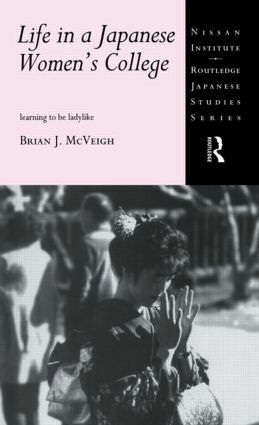 Brian J. McVeigh draws on his experience as a teacher at one such institution to explore the cultural and social processes used to promote 'femininity' in Japanese women. His detailed and ethnographically-informed study considers how the students of these institutions are socialized to fit their future dual roles of employees and mothers, and illuminates the sociopolitical role that the colleges play in Japanese society as a whole.